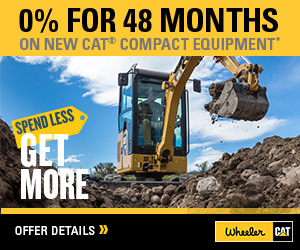 Lights & Accessories | Wheeler Machinery Co.
With the Cat line of serviceable lights and accessories, you can clearly see and be seen for safety and performance on the job. Wheeler Machinery can help with all your truck, machine and workplace lighting needs. 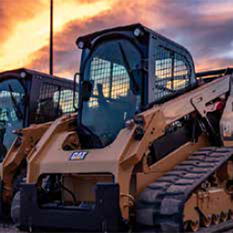 For prime operator performance, especially in harsh outdoor environments, your Cat machines require heavy duty lighting. Cat lights are built to last a long time in even the harshest conditions while offering low maintenance costs. Light-emitting Diode (LED): When it comes to off-road truck outdoor strobe lighting, Cat LED lights are the superior choice. Cat’s 12-volt LED light technology provides a brighter output and a longer life than incandescent lights. LED lights last longer than 25,000 hours, offer a wide voltage range and low current draw, and are safe for the environment. They also reduce operator eye strain and fatigue. High Intensity Gas Discharge (HID): For high hour, extended night or around-the-clock jobs, your best lights are HID lights. 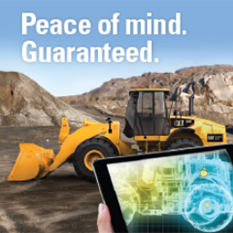 They are vibration and shock resistant, consume less power, and last up to 10 times longer than halogen lights. Halogen: Cat Halogen lights are shock resistant and have a longer bulb-life than non shock-resistant lights. Cat Halogen lights are perfect for high vibration applications. They are resistant to water spray and vibration and are environmentally sealed.